This covert pack-n-go kit includes the basic Mission Critical Wireless Covert Kit (NNTN8296) and&amp;nbsp;Mission Critical Wireless Push-to-Talk Pod (NTN2571). 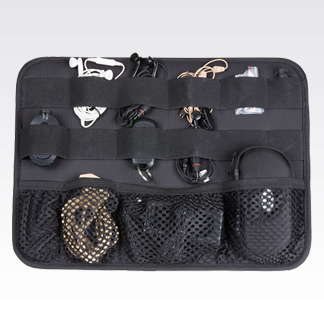 *&amp;nbsp;Covert pack-n-go kits allow you to conveniently and discreetly organize and store covert accessories, so you can access them quickly when undercover operations happen. *Not all items shown in the picture are included in this kit. For a complete kit, order RLN6501.